I’ve tried, and own, many backpacks and am constantly amazed how much innovation occurs for what is seemingly a pretty standard piece of luggage. Each month it seems the latest pack offers a little feature here, a nice touch there, that all add to making travel (especially one bag travel which I am a big fan of) that little bit easier. I follow Kickstarter and Indiegogo pretty closely so it was hard to avoid the latest campaign from Peak Design. To put it mildly, they are “big” on Kickstarter. This is their eighth campaign, earlier ones focused heavily on camera bags and accessories, and since 2011 they have raised $15M+. At the time of writing, they’ve almost doubled their goal and there are 58 days to go. There’s plenty on their site as to why they love crowdfunding but to sum it up they say “we raise in our campaigns allow us to focus on our customers and products, and not on achieving growth goals that traditional investors often demand”. 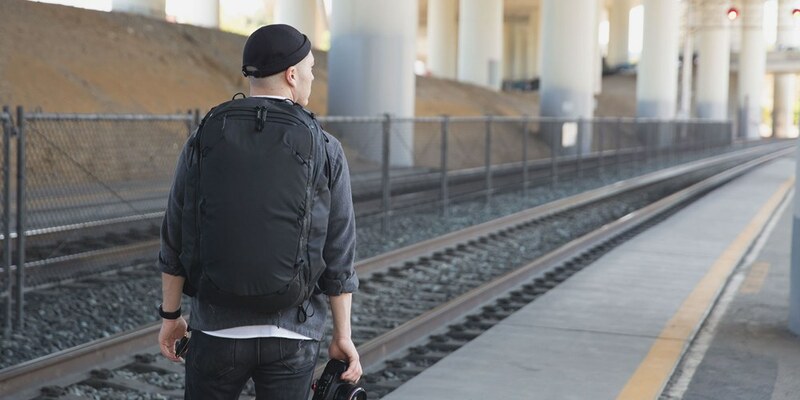 The backpack looks amazingly plain, a feature I very much like, but is packed with clever innovations and features. Along with a multitude of handles, there’s plenty of internal and external pockets that allow easy access on all sides. I particularly like the addition of a pocket that holds external straps allowing you to attach a towel or bulkier coat to the outside of the pack. There’s also a neat little handle that allows you to secure the pack over your pull along suitcase handle. Finally, there’s an ingenious way to reduce the packs’ size making it suitable for daypack use. You can see a demo of this in the video above. They have also created a range of packing cubes and pouches for toiletries, tech gear, and of course shoes. The clothing cubes also look innovative and feature a “tear away zip” which allows quick access simply by pulling back the cover. It goes without saying that it also features pockets for laptops, tablets, and other smaller items. 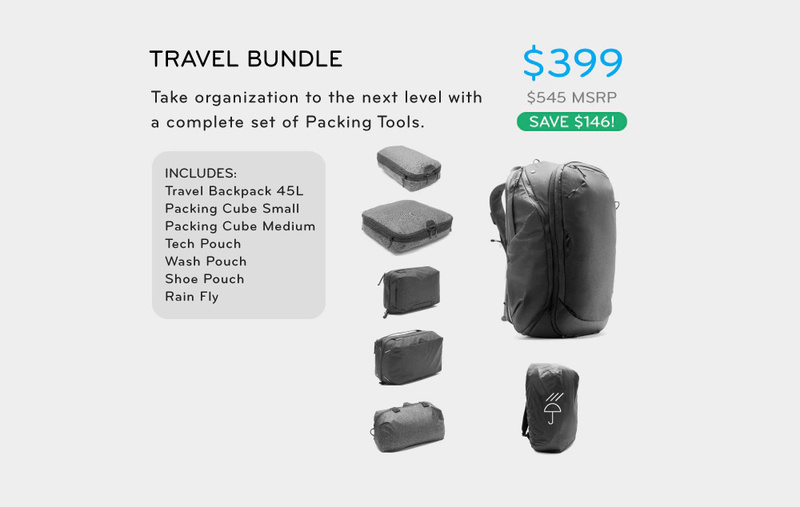 Unless you are a camera gear carrier the “Travel Bundle: Backpack + Packing Tools” looks like the best option. It’s certainly an investment at $399 USD but given everything that’s included, the pedigree of Peak Design, and the number of extras that come with it definitely worth it. You can learn more about the project, and back it, on Kickstarter and also read the review on the great Everyday Carry blog.